CATCH OF THE DAY: In many ways, ABC Family's hit television series Pretty Little Liars is largely inspired by the critically acclaimed 1990's TV series Twin Peaks. Though the most glaring similarity between the shows is that each centers around the mysterious disappearance and subsequent murder of a popular, young, blonde teenager, Pretty Little Liars is not shy when drawing upon Twin Peaks for further, more subtle inspiration. 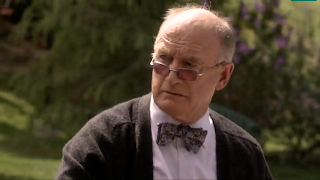 In recent episodes of Pretty Little Liars, the character of Dr. Louis Palmer was introduced. Though a seemingly fleeting character, he is crucial to finding out what really happened to Toby Cavanaugh's mother in Radley sanitarium, and is aptly named after one of Twin Peaks' most pivotal characters: Leland Palmer. Who killed Laura Palmer? The mystery surrounding the murder of this popular, teenage character has gone on to inspire a culture of prolonged murder mystery throughout film and television. Pretty Little Liars has often been referred to as the "modern day Twin Peaks," and show runner Marlene King even stated in an interview with Vulture: "When I first pitched to ABC Family what direction I would go, Twin Peaks was definitely part of our vocabulary." It's no surprise then, that four seasons in, Pretty Little Liars is still using the show as inspiration. 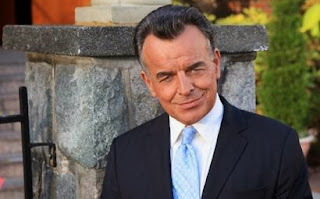 Leland Palmer of Twin Peaks, for whom Dr. Palmer of Pretty Little Liars was clearly named, was revealed to have murdered his daughter Laura while he was possessed by a mysterious demonic entity called Bob. Leland only becomes aware that Bob possessed him after Laura's death, when he slowly begins to lose his mind. Throughout Twin Peaks, Leland struggles with his lucidity as Bob repeatedly tries to take him over completely. In Pretty Little Liars, Dr. Louis Palmer experiences struggle with his memories not unlike Leland. Though this Dr. Palmer isn't possessed by a murderous demonic entity (that we know of), his inability to differentiate his past from the present does stir up the mystery surrounding Alison DiLaurentis. 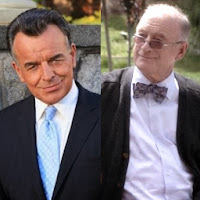 Though Dr. Palmer most likely didn't kill Alison like Leland Palmer killed Laura (though with this show, anything can happen), it does reinforce the connection between Pretty Little Liars and Twin Peaks to note that these two characters, who are both plagued with unstable minds and an inability to remain lucid, share a name.